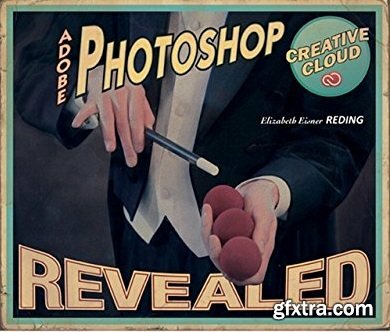 Elizabeth Reding, "Adobe Photoshop Creative Cloud Revealed"
Adobe Photoshop has long provided cutting edge technology for sophisticated digital editing, and ADOBE PHOTOSHOP CREATIVE CLOUD REVEALED provides a solid foundation for those looking to learn this industry-standard program. Real-world, practical examples and step-by-step instruction throughout offer well-rounded, comprehensive coverage of both artistic and technical features. With extensive four-color artwork and screenshots that support and clarify key concepts, ADOBE PHOTOSHOP CREATIVE CLOUD REVEALED is a valuable resource that will give readers the confidence they need to edit and enhance digital images with skill and ease.